Gradually going blind in his 20s, Rich Ruffalo refused to face reality. And then, one rainy evening, unable to make sense of the road before him, he suddenly felt his car thud against a little girl. Jolted into reality, Ruffalo refused to be knocked down and, instead, put his all into achieving. As a teacher he excelled, winning the Princeton University Distinguished Secondary School Teacher of the Year Award and Disney's Outstanding Teacher of the Year Award. Then, he set the bar even higher. Competing in the Paralympics, he aimed to medal in three field events. With focus and determination, he achieved his goal - and then some. Ruffalo won bronze, silver, and gold medals, earned worlds titles, set nine world records, and even won championships against sighted athletes. 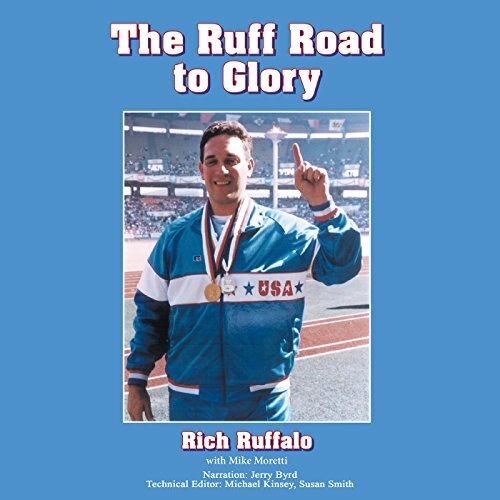 Sometimes humorous, always insightful, Ruffalo's heartfelt Ruff Road to Glory demonstrates that there are infinite possibilities for everyone. Ruffalo inspires each one of use to persevere, regardless of our circumstances. With faith in God, ourselves, and the unlimited potential of the human spirit, we will triumph. We too can grasp the gold. Edited by Michael Kinsey and Susan Smith. If you have any questions about this product by Book Publishers Network, contact us by completing and submitting the form below. If you are looking for a specif part number, please include it with your message.